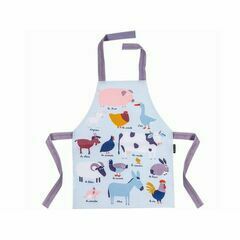 Whether it's messy play, baking or crafts, our beautifully designed children's aprons will keep your child dry, protected, and most importantly clean! Our PVC range of aprons from Petit Jour Paris are all waterproof, and really easy to wipe clean with a cloth. Your child can even have a go at creating their very own apron with Alice Melvin's cut out and sew apron kit!